Low lying areas of land can be drained by digging drainage ditches. However, when an area is below sea level it is necessary to pump the water upwards into water channels that finally drain into the sea. In the 19th century pumping stations were built throughout low-lying area of England, with water pumps, powered by steam engines. The Somerset Levels has a number of Pumping stations to help in the drainage of what is very low-lying land. One of the earliest of these pumping stations to be built in Somerset is now preserved and open as a visitor attraction. Westonzoyland Pumping Station, Westonzoyland, near Bridgwater, Somerset. 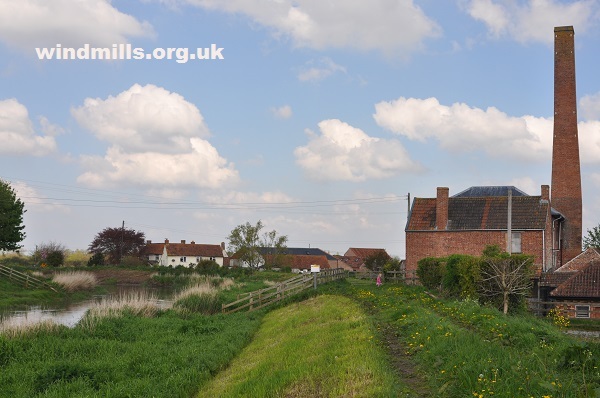 Westonzoyland Pumping Station on the River Parrett in Somerset. 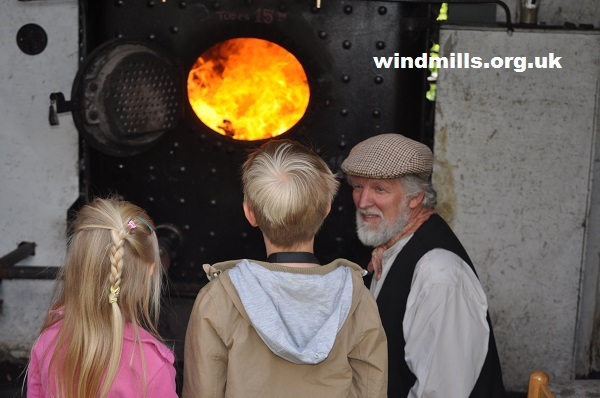 The firebox of the large stationary steam engine at Westonzoyland Pumping Station. Information boards at the entrance to Westonzoyland Pumping Station on the Somerset levels. 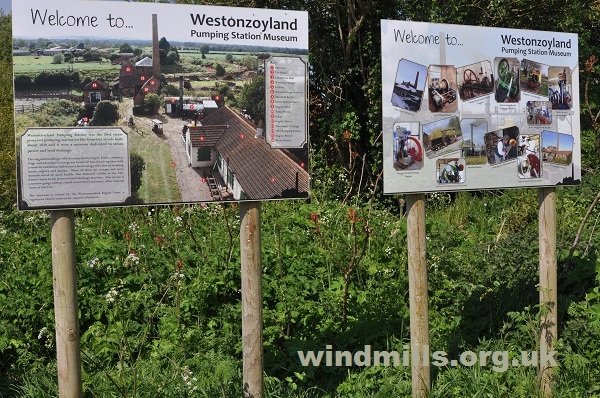 More information on and pictures of Westonzoyland Pumping Station Museum.